The prevelance of terms like Industry 4.0 and the Internet of Things indicates one thing: the manufacturing industry is evolving at a rapid pace. And at the forefront of this seismic shift is additive manufacturing, which has come a long way from its origins as a rapid prototyping tool. Today, advancements in additive manufacturing technology means that it now has the capacity to solve key industry needs, such as mass customisation, on-demand manufacturing and shorter product development cycles. But while AM holds the potential to solve these market demands, currently only 36% of manufacturers are using 3D printing for production, according to a recent survey by Jabil. While this number is expected to grow — and grow exponentially — manufacturers reported “difficulty in scaling operations” as a key challenge for the implementation of additive manufacturing technologies. The conclusion: as it currently stands, AM operations are still not scalable for industrial, end production. Perhaps paradoxically, in spite of the rapid growth of additive manufacturing, companies are still using labour-intensive processes and disconnected systems to manage their AM workflows. Such methods lack scalability, particularly as companies are making the shift from single 3D printing machines used for prototyping and research to multiple, connected workstations optimised for end production. Managing life cycle processes, calculating the cost of parts, scheduling production and collecting relevant statistical data are just some of the key elements needed to run any AM operation on an industrial scale. Manual processes – such as using spreadsheets, for example – are therefore not adequate, scalable solutions. If we are to unlock the full potential of additive manufacturing for industrial-scale end production, companies and industries will need a new approach to managing their AM operations. Which is where AM Automation Software comes in. What is AM Automation Software? The unique requirements of additive manufacturing mean that specialist software is needed to manage each stage of the AM workflow and provide a scalable model for expansion. AM Automation Software (AMAS) is software developed specifically for the requirements of industrial-scale additive manufacturing processes. It provides the tools necessary to automate and coordinate every stage of the AM workflow, from file preparation right through to production management. The prospect of developing a scalable operational process for AM can be daunting. If done in-house, it requires the development of a scalable software system that can incorporate data and machine learning to optimise the production process — which is no mean feat. But by implementing specialised AM automation software, companies can not only signifincantly reduce costs, but also the time spent on labour-intensive tasks, like production scheduling through automation, ultimately ensuring optimised, efficient workflows. One of the major benefits of AMAS is to provide greater transparency and traceability along the entire production process. The automatic logging and tracking of data throughout the entire production chain mean that it is possible to know exactly what is being produced and when, in real time. File versioning tools can ensure that all iterations of an STL file are logged, keeping users up-to-date with the latest design iterations. Connectivity can also be applied along the entire value chain too, connecting suppliers to manufacturers and end users, for example. Production management is another important element of AM automation software. Without production management tools, collecting production data and even tracking the movement of parts along the production process can become a laborious process. 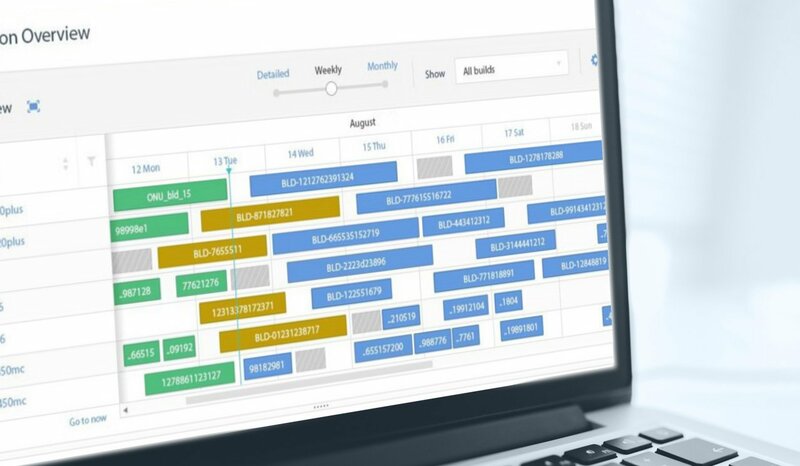 Being able to schedule and monitor production and collect key data through automation software reduces the burden on departments, whilst simultaenously providing transparency on the production results. As manufacturing continues its transition towards Industry 4.0, the “digital factory of tomorrow” will incorporate integrated technologies, including hardware systems, robotics and sensors, which in turn will drive the need for automated processes. And since the AM automation market is set to grow to $11.2 billion by 2017, AM automation software will play an integral role in connecting these various systems. If the last decade centred on hardware innovations within additive manufacturing, the next ten years will hinge upon software innovation, driven by disruptive digital technologies such as machine learning and big data. AM automation software will be essential for both only managing and connecting the entire additive manufacturing ecosystem, including key players along the value and supply chains. From an operational perspective, the integration of specialist management software for additive manufacturing will provide more streamlined and efficient workflows – which is why AM automation software is the next frontier for additive manufacturing. RP Platform provides AM Automation Software to automate and connect every stage of the additive manufacturing process, helping companies across industries achieve greater efficiency and productivity.